The term ‘school holidays’ strikes fear into many parents’ hearts, but not us. We love to spend Easter outdoors and we love the opportunity to spend more time with the boys (even if they are bickering) and at the top of our holiday to-do list is always an outdoor activity. We visited WWT Martin Mere last year and had an incredible day. The Giant Duck Hunt will be a lot of fun and I highly recommend the Canoe Safari – read about our experience of it here. These events are always good fun and you get to test out your map reading skills too, though last year we discovered that mine are dire! 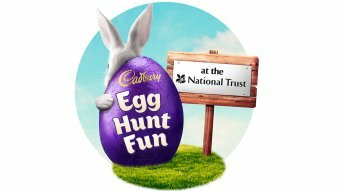 A brilliant family day out which encourages working together as a team to complete the trail before collecting your chocolate treat. I should imagine that there are charges for the activities, but the park itself is free entry and definitely worth a visit. 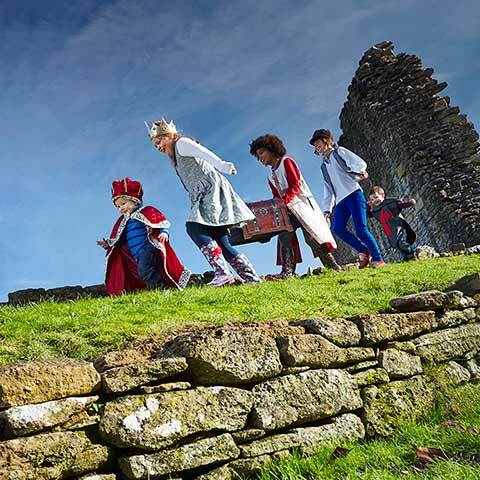 Meet characters from the past and crack the clues on an historic hunt as you explore magical gardens, halls and castles. Once you’re all done, pick up your Play-Doh and activity book prize. Whatever you decide to do over the Easter break, the long weekend is a great opportunity to embrace the fresh spring air and blow away the winter cobwebs. We haven’t been on many outside adventures at all over the last couple of months so I’m very much looking forward to getting out more now the weather looks to be picking up.